Panagiotis Ballas was used in four of the matches in the present term. Panagiotis Ballas is currently tenth in Super League (Greece) and second in group Gr. 8 of Greece Cup (Greece) with his team Larissa. He is two years younger than than his team's average age, as he was born on 09.06.1993. In September 2017, Greek, Modern (1453-) midfielder Panagiotis Ballas joined Larissa (Greece), whom he is still playing for. With a height of 1.82m, he compares with Larissa's mean tallness. He prefers to play with his right foot, as do 50% of his teammates. After an overall look at his career, we can see that Panagiotis Ballas was substituted in 51 times but never out. In the active season, he was taken out more often in contrast to 2017/2018 wherein the contrary happened. 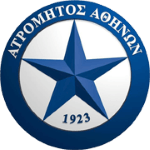 His record stay with a club is Atromitos Athens (Greece) with five years and 11 months. Just six days ago he played his latest match. Panagiotis Ballas is playing as midfielder in Larissa together with Noe Acosta, Alexandros Chalatsis, Adnan Secerovic, Hristofor Hubchev, Kenan Bargan, Leozinho, Lefteris Bamis and Nikos Golias. He received the number 6 tricot at Larissa. In terms of top seasons, the Super League 13/14 (Greece) was his best one yet, breaking one personal record in terms of appearances. Then again,he had a lot of trouble with penalties and hitting the net once,. 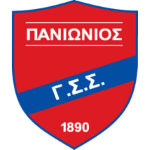 The briefest time Panagiotis Ballas's spent on a team counts five months in Panionios Athens (Greece). 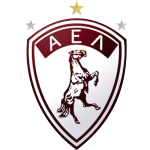 His squad concluded in a tie in 50% (40% home) in Super League and won 67% (100% home) in Greece Cup. The highest win streak of the last 5 matches happened in Super League with a count of 2. Weighing 165.35lb, he measures 2lb less than the average player on Larissa. 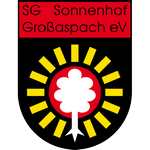 Before joining Larissa, Panagiotis Ballas was engaged in the squads of Atromitos Athens, SG Sonnenhof Grossaspach and Panionios Athens. Already 14 times a card was given to him in his tenure.